You are here: Home / Portfolio / We Have A Thing for Pillows in Color! Pillows are the perfect and fun way to add that pop. We love pairing wild pillow color combinations and in some cases, just a hint of color to neutral and casual living spaces. 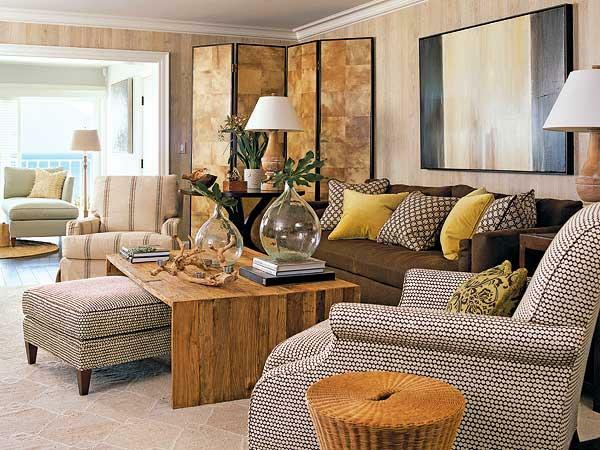 Check out the fun these pillows in bold hues add to this brown sofa. 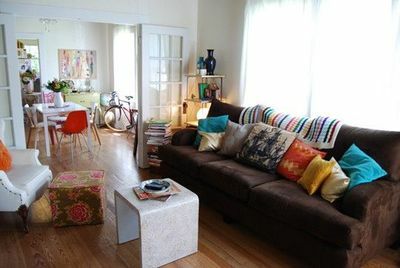 palette with perfectly paired pillows ! Previous Post: « Your Window Treatments Deserve a Good Hanging! This is how I change seasons in my home! I trade out pillows all over the house!